You won’t believe she wore that dress. Join us for a look at some of the great fashion dos and don’ts. 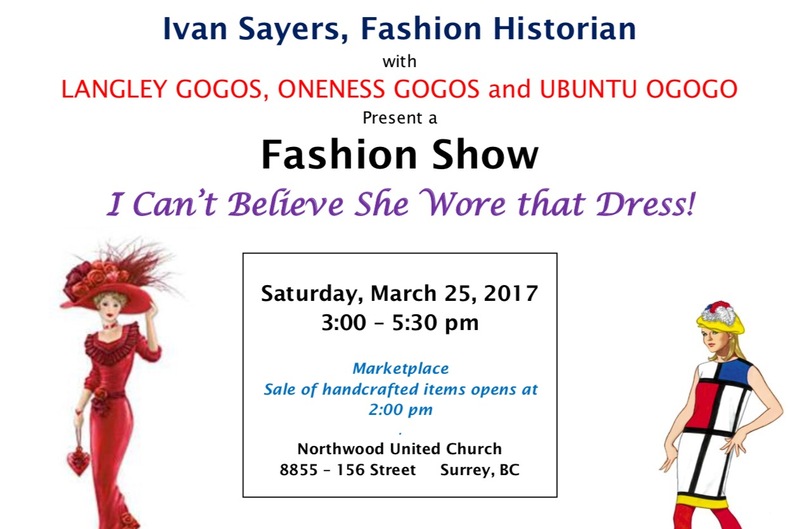 A fundraiser for the Stephen Lewis Foundation (http://stephenlewisfoundation.org/) sponsored by the Langley, Oneness and Ubuntu Go-Go Grannies.